Friends, can I be honest with you about something? Sometimes I think that God isn't really the answer to my problems. Sometimes I run to other things or people before I run to Him. Because Netflix and my phone are much more accessible (it seems) than He is, even though He's the One who placed my breath in my lungs. I literally couldn't and wouldn't exist without Him, and yet it is so easy for me to search for that quick fix that makes me feel better, if only for a moment. But God is the source of our true comfort. He doesn't just make us feel better by patting our backs and telling us to keep our chins up. No, He reminds us of His constant lovingkindness. Of His ability to carry our wounds and our struggles. Of His never-ending, never-giving-up-on-us kind of love. That's a lot better than ice cream and Netflix, am I right? A sweet reminder from Facebook memories of a post from three years ago. 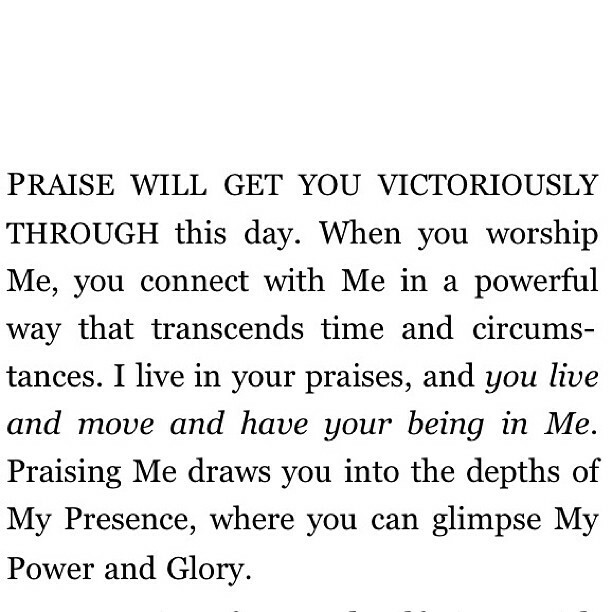 There's power in our praise! So why do we reach for the Talenti gelato and the remote instead of our Bibles? There's nothing inherently wrong with Netflix and ice cream, and there's nothing wrong with self care. But when we look to the screen and the spoon to be our comfort, we've missed the mark. He doesn't want us to run away from or push down our hurts, fears, and struggles, He wants to walk through them and sit in the mess with us. It seems to good to be true, but it is truth. He loves us, wants us, and will walk with us. No matter what. 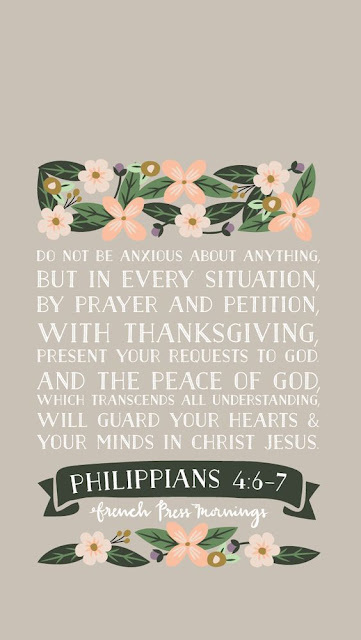 I've been working on memorizing Philippians 4:4-9 for a week or so now, because God tells us in His word that we can always run to Him. He is always there for us and He wants us to come to Him with everything. But friends, He wants us to come to Him with thanksgiving. Just like we covered last week, everything that comes to us is for our good and His glory. There's nothing that's too big or bad or scary for God. After all, He sees all, knows all, and is in all. He's faithful and constant in spite of that, and that's what makes Him so very beautiful. Everything else in our lives can and will pass away, but His love and His word are going to last forever. And that, my friends, is our only true comfort in this thing we call life.